HARLEM, Manhattan (WABC) -- New York City Mayor Bill de Blasio said Wednesday that the death of a 6-year-old boy whose family had been investigated for child abuse "should not have happened." De Blasio called Zymere Perkins' death "an unacceptable tragedy" and added that "the buck stops here." Zymere died Sept. 26 after what prosecutors say was months of abuse by his mother and her boyfriend in their Harlem apartment. Both have been arrested on charges of endangering the welfare of a child. Their attorneys did not immediately return calls seeking comment. City officials have acknowledged that the mother, Geraldine Perkins, was investigated five times for abuse allegations. The mayor and other officials spoke at City Hall the day after Gladys Carrion, the commissioner of children's services, said in a tearful television interview that "we can't keep every child safe." Carrion said Wednesday she was "devastated" by Zymere's death, adding that "the death of one child is too many." Five Administration for Children's Services employees who were involved in the case have been placed on modified assignment during an investigation into the boy's death. "We're looking at every conceivable point along the way where things could have been done differently," de Blasio said. De Blasio said the city would institute reforms including improved training for caseworkers. The series of reforms was outlined at a 90-minute news conference Wednesday night. --City officials called for enhanced supervision of "serious abuse" cases, and that ACS and NYPD will investigate those cases jointly. --There will be enhanced training for all ACS caseworkers. --Newly-designated ACS liasons will share information they gather with prosecutors. --And new, clearer reporting guidelines will be issued for teachers, administrators and school staff. The City Council will also hold an oversight hearing on how the city responds to allegations of child abuse and neglect, in light of the boy's death. The hearing, set for October 31st, will examine how policies and procedures at the Administration for Children's Services affect the investigation of alleged abuse and neglect cases. Police say Zymere was fatally beaten with a broomstick by his mother's boyfriend, Rysheim Smith. The city's Administration for Children's Services had some prior interaction with Perkins, investigating past allegations of child abuse. The resolution of those prior allegations is unclear. The city is also looking into the child's schooling, and whether anyone in the Education Department raised concerns. The student may not have attended classes for a period of time. 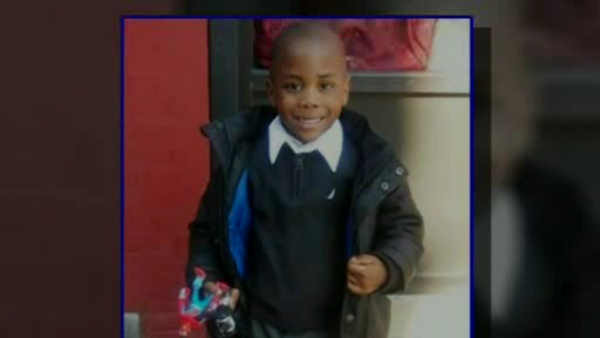 A wake and funeral services for Zymere will be held Friday in Brooklyn.